The 90-day pause in the trade war agreed between U.S. President Donald Trump and his Chinese counterpart, Xi Jinping, was greeted with relief around the world, but the dispute remains among the biggest risks to Southeast Asia’s economy next year, according to forecasts from banks in Asia, the U.S. and Europe. CIMB Group Holdings Bhd’s inaugural 3D Conquest hackathon is part of the group’s efforts to identify and nurture young digital talent across Asean. Located in the southern part of the country, China’s Guangxi Zhuang Autonomous Region borders Vietnam and the Beibu Gulf. SENIOR officer from the Malaysian Qualifications Agency (MQA) Dr Hazman Shah Abdullah, who took part in the recent ASEAN Qualifications Reference Framework (AQRF) meeting at the Radisson Hotel, said participation from ASEAN member states (AMS) should focus more on the referencing reports they prepared, along with the additional steps to be taken for further improvement. MIDDLE-CLASS consumers in Southeast Asian cities, particularly Jakarta, Kuala Lumpur and Bangkok, are ready to spend more money on fashion items over the next two years, presenting business opportunities for exporters and retailers. 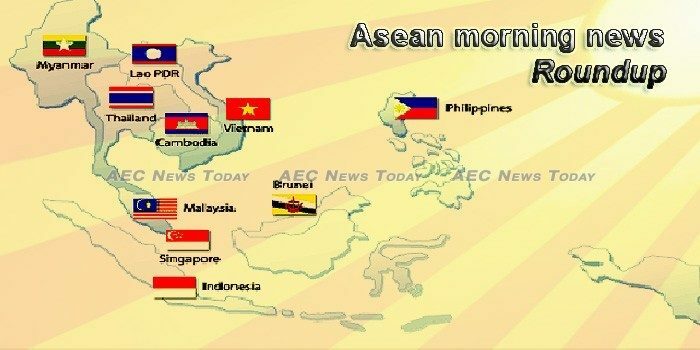 As an economic bloc, ASEAN is the fifth largest economy in the world. The government has approved additional 500 billion kip as emergency aid for 2019 for rehabilitating agro infrastructure damaged by recent floods, procuring agricultural inputs including rice seeds, fertilizers, and as a compensation for damages caused by recent insect infestation, mostly in northern provinces. Individuals and legal entities who do not run a financial institution should not be permitted to operate currency exchange businesses as their operation has affected the value of the national currency. Malaysia will reduce its total oil output by 15,000 barrels per day (bpd) in line with the proposal by the oil-producing countries to support oil prices, Economic Affairs Minister Datuk Seri Mohamed Azmin Ali said on Sunday. While Singapore considers whether to place a tax or even an outright ban on sugary drinks, Malaysia is taking action. Faced with Asia’s highest rates of diabetes and obesity the Malaysian government will implement a sugar tax on sweet beverages effective April 1, 2019. The country’s external debt service burden increased by 10.46 percent year-on-year to $5.238 billion as of end-August from $4.742 billion same time in 2017, according to data from the Bangko Sentral ng Pilipinas (BSP). FISHERMEN representing 100 communities nationwide are expected to purchase machinery and equipment at the World Trade Center, supported by P400 million worth of loans from the Department of Agriculture (DA). The Court of Appeals has upheld the resolution of the Office of the Ombudsman recommending the indictment of a ranking official of the Philippine Coast Guard for illegal cash advances amounting to P689.6 million. In his first comments on the maritime dispute between Singapore and Malaysia, Finance Minister Heng Swee Keat said that intrusions by Malaysian vessels into Singapore territorial waters are a violation of Singapore’s sovereignty and international law. The looming insolvency of the once-mighty commodities trader is a cautionary lesson to the city-state’s exchange not to drop its standards. Bus manufacturer SC Auto revved up the local automotive industry when it launched the first fully designed and built bus in Singapore yesterday.